We have set-up a capacious warehouse that enables us to store our range of Steel Castings, Alloy Steel Casting, Carbon Steel Casting, Stainless Steel Casting and Duplex Steel Casting in an organized and safe manner. For convenience at the time of retrieval, we store our range in different labeled sections. The warehousing unit established by us equipped with fire safety facility that ensures the safety of our products. 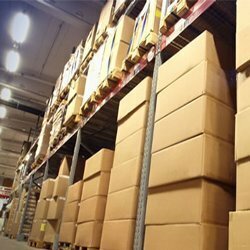 In order to mange our inventory we have employed efficient supervisors, who are trained to handle the store in an organized manner. Furthermore, packaging of products is done under the supervision of our experts. To prevent any kind of damage to the products during transit, we use high quality packaging material for embracing them. Moreover, we also provide customized packaging as per the details given by the client. 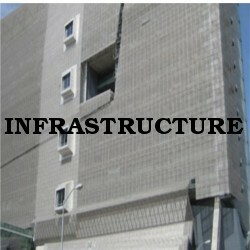 We have ultra modern infrastructure that includes advanced technology and sophisticated machines. The unit is well equipped with upgraded machines that are essential for the smooth production of the castings of different grades. Our manufacturing unit covers a vast area of land with an installation capacity of 150 Mt. to meet the mounting demands of the clients. Induction Furnaces, 2 Nos., 7 Mt. capacity, Inductotherm make, capable to cast min. 300Kg and Max. up to 7.5 Mt. single piece. Carry More / Elite make EOT cranes of 1O Mt., 7.5 Mt. and 3 Mt. Compressors, 2 Nos., able to continue six chipper machines. Power available 33 KV, un-intrrupted. Heat Treatment Furnace 3.5 Mtr. x 3 Mtr. x 2.5 Mtr. Bottom Pouring Ladle, 2 Nos., 5.5 Mt. and 8Mt. capacity. Chemical Lab for Wet Analysis. RT, UT, MPI & DP Testing. UTS and Impact Testing Machine. 60 Mt. Capacity Weigh Bridge. Crane Weigher 12 Mt. Capacity. In addition, all our products are designed with the help of an in­ house design unit which is well supplemented by the essential facilities and software. We assure that all our machines and process equipment are regularly upgraded for the smooth production process.